Sciatica has it’s name as it is the result of an irritation to the sciatic nerve. The sciatic nerve runs from five nerve roots at the base of the spinal cord, traveling through the buttocks and forming a thick nerve bundle. From there its five branches extend down to different parts of the thighs, legs and feet. Sciatica is a pain beginning in the lower back and traveling down the buttock, legs and feet, as well as a tingling, numbness, weakness in the back of the legs and feet. Sciatica might be present in all these areas or just some of them – sometimes you will have lower back pain and sometimes not – it all depends on which local tissues and nerve fibres in the sciatic nerve that are affected and how they are affected. What is the best treatment for sciatica in London? An effective osteopathy or physiotherapy treatment program for sciatica in London will address all the factors contributing to your sciatica. Chiropractic treatment for sciatica is also a possibility, but as we do not have a chiropractor here we will concentrate on osteopathy and physiotherapy treatment for sciatica. Your sciatica treatment will begin with a thorough case history and examination to find out if your sciatica is caused mainly by a lumbar disc herniation or if it is another nerve impingement or irritation that is likely to cause your sciatica. If it is a prolapsed disc that is the cause of sciatica we will not only give you treatment for your prolapsed disc but we will find out what is the underlying cause of your disc lesion – whether it is a twisted spine due to a compensation for a knee injury, which then also needs to have treatment parallel with the area around your disc or your lifestyle consisting of a wrong sitting posture at work. There is little point in helping you sciatica symptoms and treating your disc bulge if we don’t address the real reason and cause of you issue in the first place – then your sciatica will just return again. Most sciatica pains have a mechanical reason to be there and as such a mechanical approach such as osteopathy or physiotherapy are ideal methods to free up the compressed joints and stiff muscles plus advicing on correct posture at work and at home. The osteopathy or physiotherapy treatment for sciatica often involves gentle manipulations of the surrounding structures, soft tissue work and stretching to take off the pressure off the bulging disc. 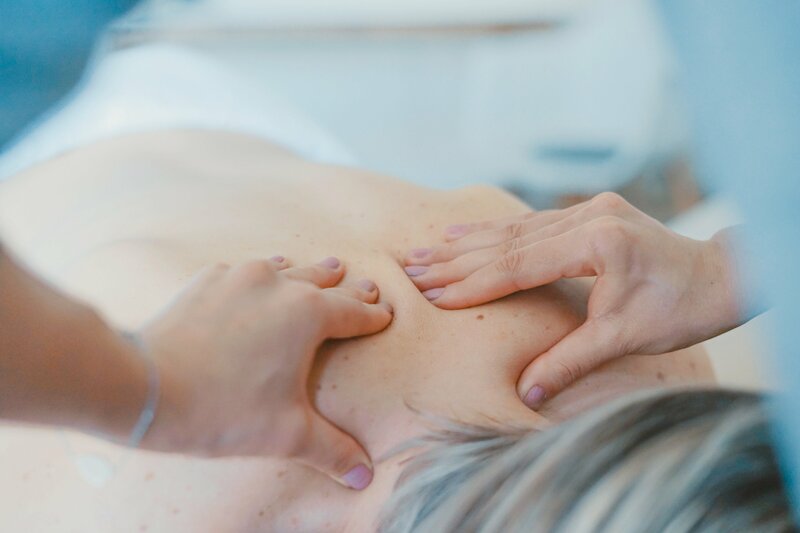 Realignment of the vertebrae by an osteopath restoring the spine’s structural function allows greater movement in the back while taking pressure off the nerves. It might require stretching exercises, as well as physiotherapy and a regimen of lower back rehabilitation exercises. The sciatica treatment will also work on the piriformis muscle, which in many cases can cause impingement of the sciatic nerve and therefore the symptoms of sciatica. At the Central London Osteopathy and Sports Injury Clinic we see lower back problems more often than any other complaint, so we have a lot of experience in lower back pains often with sciatica involvement. People usually would see one of our osteopaths or physiotherapists for sciatica – and conveniently based in Central London we often can see you on the same day if you book early enough. We also offer sports massage and acupuncture which also can relieve the pressure and symptoms of sciatica. through a combination of stretches, deep tissue massage of the piriformis muscle and osteopathy or physiotherapy. Our acupuncturists can give good relief for sciatica and many will find that the best treatment for sciatica is acupuncture in London. .It is strongly adviced to leave disc surgery as last resort as it is the most invasive option – and if the real cause of the disc lesion behind the sciatica is not addressed at the same time your sciatca will return anyway. A lumbar disc surgery can often give a good and quick relief of the pain, but your spine risks less mobility at that level, which will in some cases put more workload onto the neighbouring disc, which then will be next one up for surgery. As said before: There is little point in helping you sciatica symptoms and treating your disc bulge if we don’t address the real reason and cause of you issue in the first place – then your sciatica will just return again. Getting to your destination often means sitting for long periods of time. Before you hop on a plane or get behind the wheel, stretch out your muscles to avoid tension that can cause or worsen your discomfort. This little effort can pay off in the long run when you aren’t starting your vacation with severe back pain. When driving the best lumbar support is a simple rolled up T-shirt, which you you shape into a sausage and place across you lower back curvature. you can easily adjust it and it has the perfect size. When lifting do not look down at the object – this will slouch your back. Tense your back muscles and look up and your back is a lot better protected when lifting. Get up often when you are sitting and move about. It is like surfacing for a gasp of fresh air when diving. If you want to find a sciatica clinic near me look no further. With our Osteopathy and Sports injury clinic in Shoreditch, we are conveniently located for osteopathy in Central London, the City, Angel, Islington, Canary Wharf, Docklands, North, West, South and East London and is easily accessible from anywhere in London via London buses and trains and whether you are local or not, we will do our best to make your journey worth it. Nearest tube stations: Old Street, Shoreditch High Street, Moorgate and Liverpool Street.